That second link is very interesting. Thanks for posting that one BenG. I've yet to work out just where these sidings were. Does anyone know? 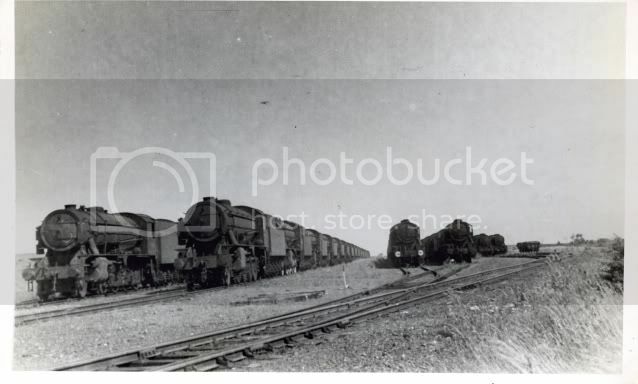 After the Second war the sidings at Richborough were used as a dump for locos brought back from the continent after war service. 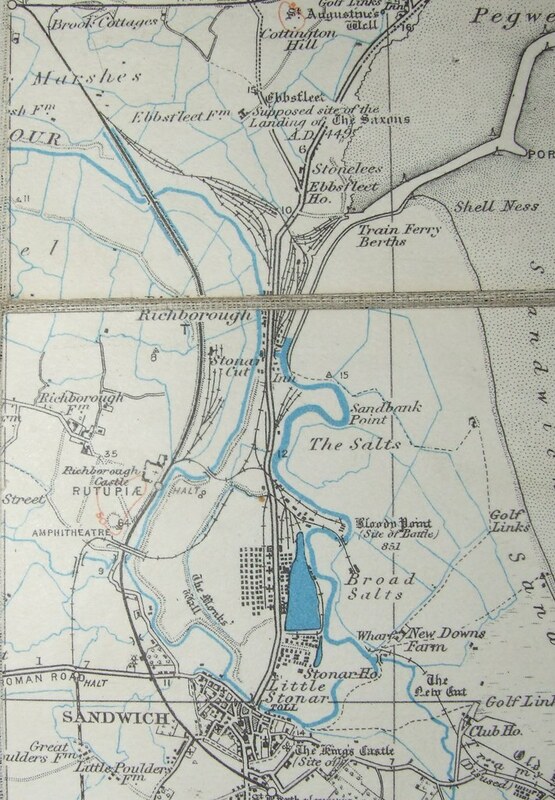 A couple of plans of Richborough, the one of the shipyards isn't too clear I'm afraid. The original photo was taken from a point at the eastern end of Pearson's Warf, looking east. Few more images half way down this page. I had all intentions of going my self to have a look for the remains but as of yet have not. Probably a lot easier to see it all by boat. When I first came to live in Sandwich about 30 years ago the New Warf and the train ferry berth were accessible from the Sandwich - Ramsgate road, now it's all fenced off. 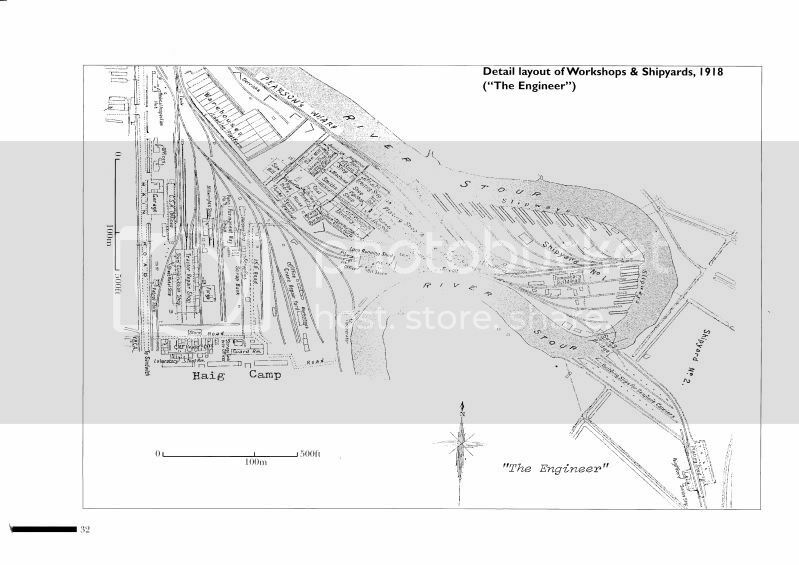 The remains of Stonar Camp can be seen in Sandwich Industrial Estate - the concrete huts being workshops now. Eagle Sheds on the Ramsgate road use what I believe was the 'Tractor Repair Shop', the tractors being 60cm gauge trench railway locomotives. Part of the dredger discharge system can be seen on the opposite side of the river to New Warf. 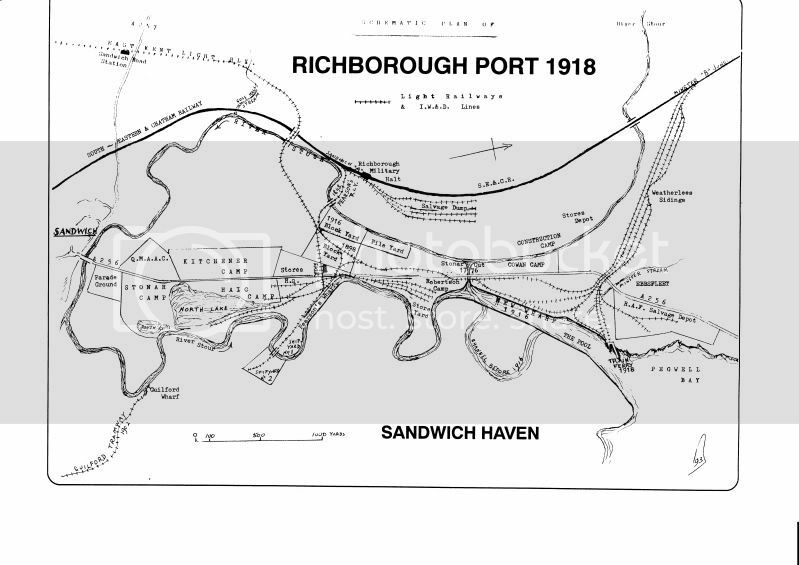 'Richborough Port' by Robert Butler, ISBN 0-9531801-1-5, published on behalf of the East Kent Maritime Trust by Ramsgate Maritime Museum is the best I've seen for bringing together the various bits of information available. The Ramsgate Maritime Museum has a model of a train ferry and the berth. Visit by boat is best, but you will need your own! There is a river bus but he charges ?20 per head to go to the mouth of the river to see the seals. Sandwich Guildhall Museum had a large photographic exhibition of the port a few years ago, I imagine some of it is still on display. 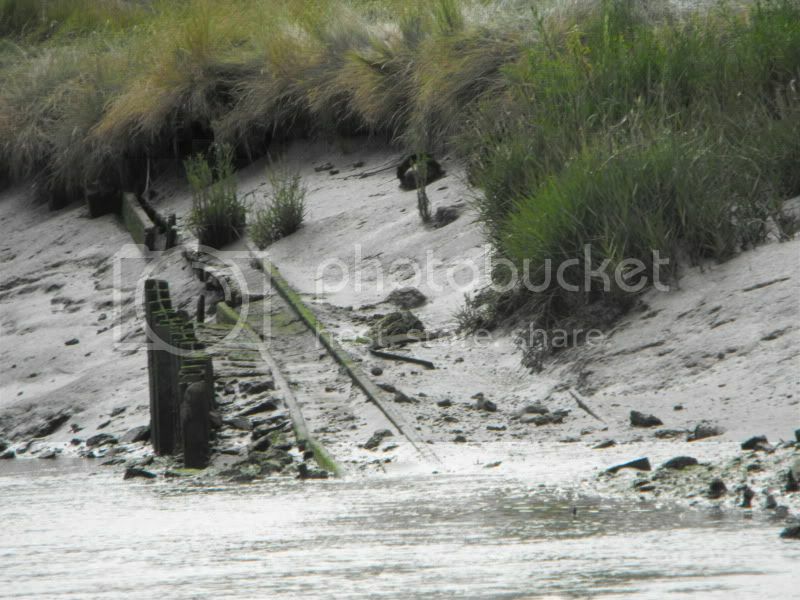 The photo is of the remains of one of the slipways at No 1 shipyard, Richborough. I've been up and down the Stour dozens of times and not noticed them before, probably because this time I went towards the sea with the tide very nearly out and went aground a few times!